Posted by Angela Steffi on 10:58:00 PM Mutton Ghee roast is an delicious recipe from the mangalorean Cuisine.This recipe is an excellent side dish for Chapthi, Dosa and also goes very well with plain rice.In this recipe we are going to make a special masala by roasting a lot of spices which adds more taste and flavor to our Mutton Ghee roast.This recipe can make you extremely addictive and the taste lasts in your taste buds for ever.The method we cook makes the mutton to stay tender and soft.I can guarantee you that this tastes far better than the one which we order in the restaurants.So lets see how to make this delicious Mutton Ghee Roast. 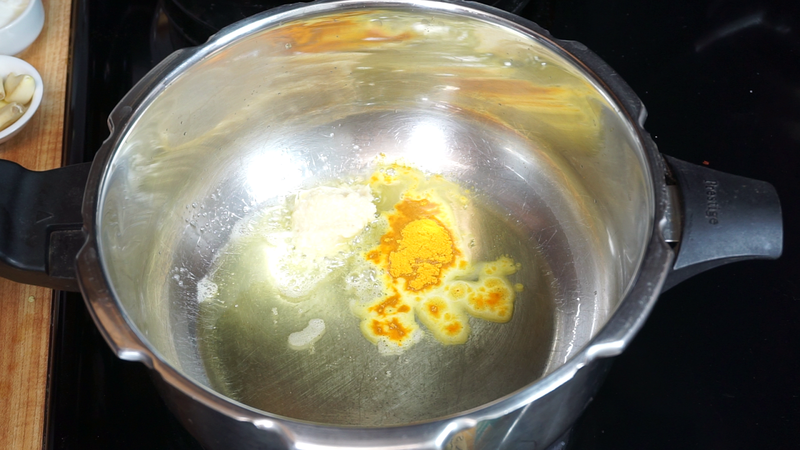 Step 1) In a pressure cooker melt ghee , add ginger garlic paste and turmeric powder.Mix well and then add the mutton pieces,some salt and saute in the ghee for 3-4 minutes.Then add some water not too much just to cover the mutton pieces.Cook for 4-5 Whistles on a medium heat or until the meat is soft and tender. Transfer the broth in a bowl. The reason why we are separating the pieces form the liquid is we want to make mutton roast not mutton gravy and at the same time we don’t want to waste this broth so we are going to add it to the masala and reduce it and then we are going to add the mutton pieces that way mutton will be nicely roasted and will retain all the flavor. 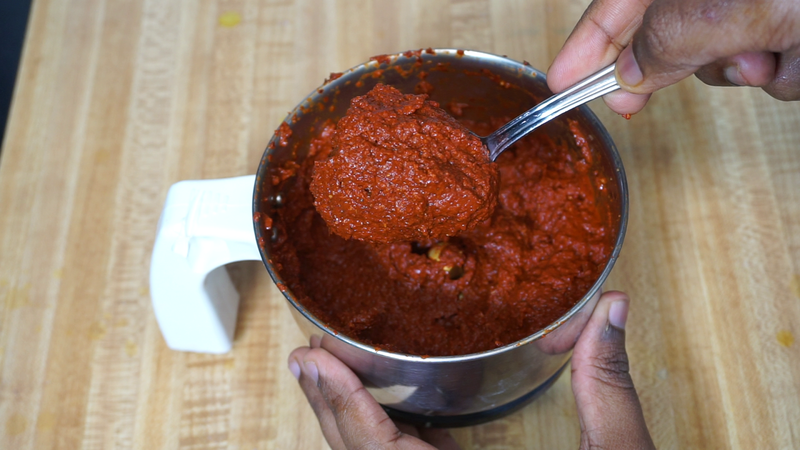 Step 2) To make Masala for Mutton Ghee roast,Dry roast kashmiri chilies (Kashmiri Chilies adds a nice color to the recipe and at the same time they are less spicy) If you don't have kashmiri Chilies then replace this with 4-5 regular chilies) .After roasting for 3 minutes transfer this to a plate and then roast the other spices Coriander seeds, Pepper corns, Fennel seeds, Cumin seeds, Cinnamon, Cloves, star anise and dry red chilies and roast it for some time until you feel the nice aroma of the roasted spices and be careful no not burn them. 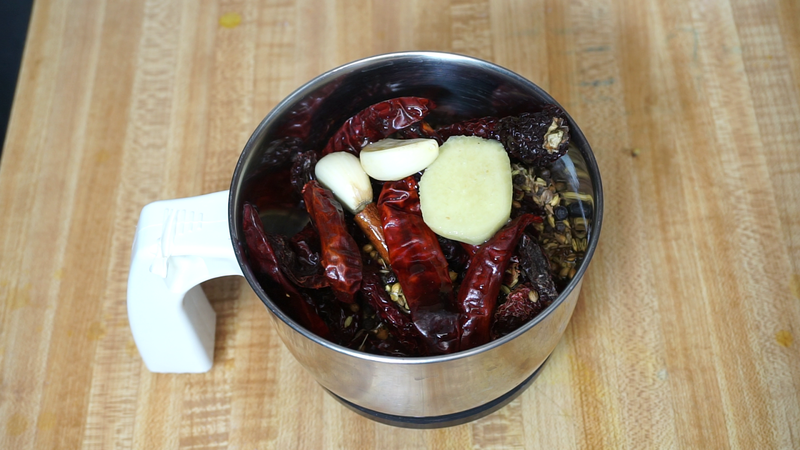 Step 3) Transfer all the roasted spices to a blender and along with this add a piece of Ginger, Garlic and lemon juice and grind it to a smooth paste by adding some water. 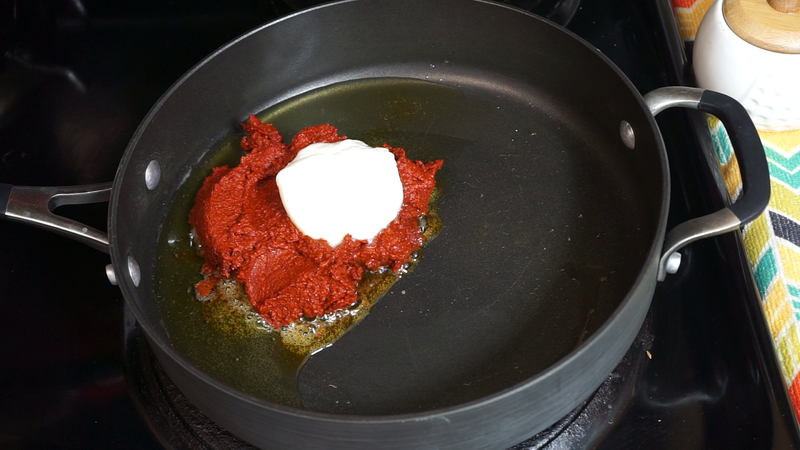 Step 4) To make mutton Ghee roast melt some ghee in a pan and add the ground masala and also add yogurt to it and mix this well with the ghee. 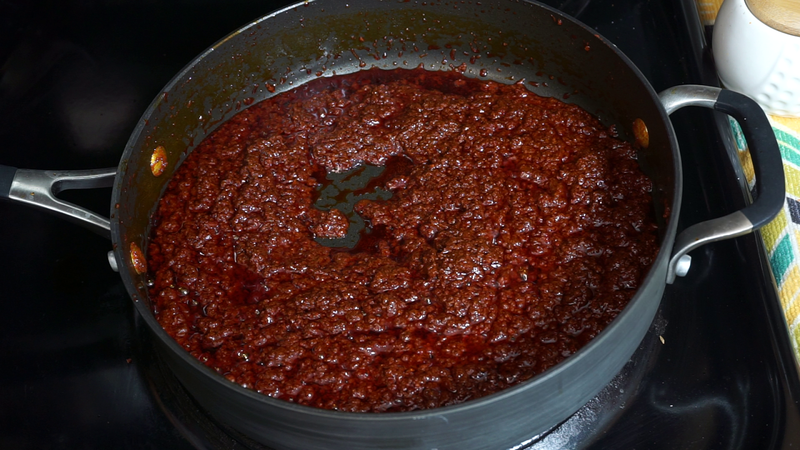 Now to this add the broth which we have separated initially and mix well with the masalas .Add some salt if required.We need to cook this until the gravy thickens and reduces. 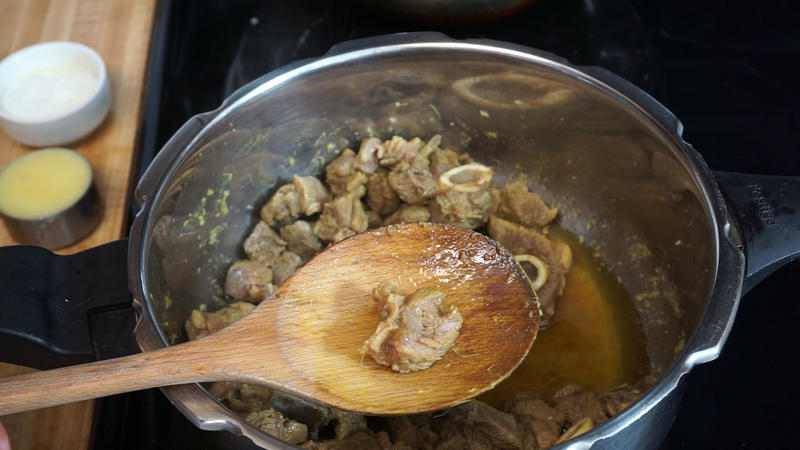 Step 5) Now you can see the gravy is nice and thick, the ghee which we have added has oozed out now its time to add the cooked mutton pieces and mix well with the gravy.After mixing nicely cook this for another 4-5 minutes on a medium heat. Finally add some curry leaves for garnishing and turn off the heat. 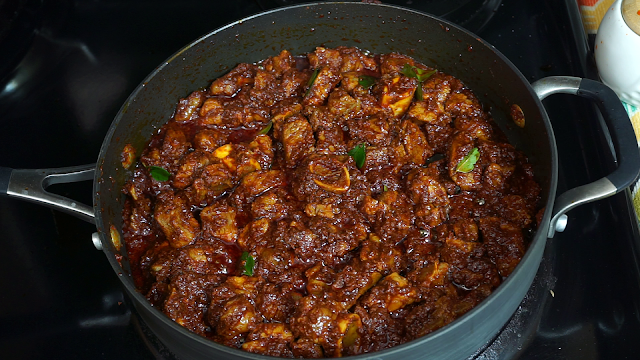 Our Delicious Mutton Ghee roast is ready to be served.I cannot wait to taste this awesome mutton Roast.If you want a gravy kind of thing then you can add the mutton pieces along with the broth at the end and cook for 5 minutes in the masala. Happy Cooking. I must say your recipes easily untestable , easy to cook and extremely delicious. 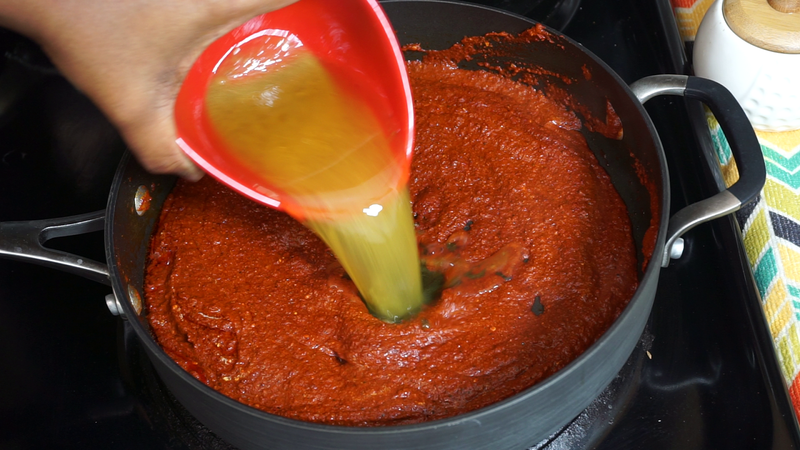 I tried Prawn ghee roast yesterday ,it came out superb. Thanks so much for all the recipes...we will exploring one by one. Hi Madam, recipe looks great, would like to know for 3 kg mutton, do i just triple the ingredients for all sections or is the same amount enough? 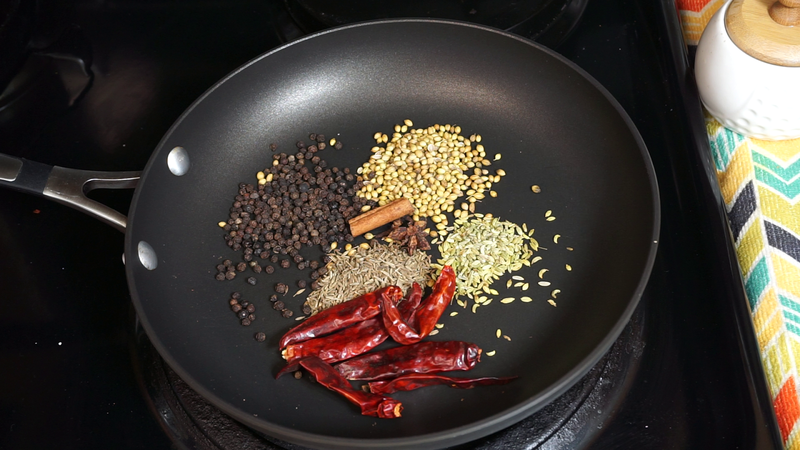 Hi we can triple all other ingredients except Coriander seeds(2 tbsp is enough), pepper corns(2 tbsp is enough) and red chilies . My sister and I had cooked the mutton roast on a Sunday. It was extremely tasty. Today my sister works abroad and I am making this yet again. Cheers! Wonderful recipe again. Steffi. 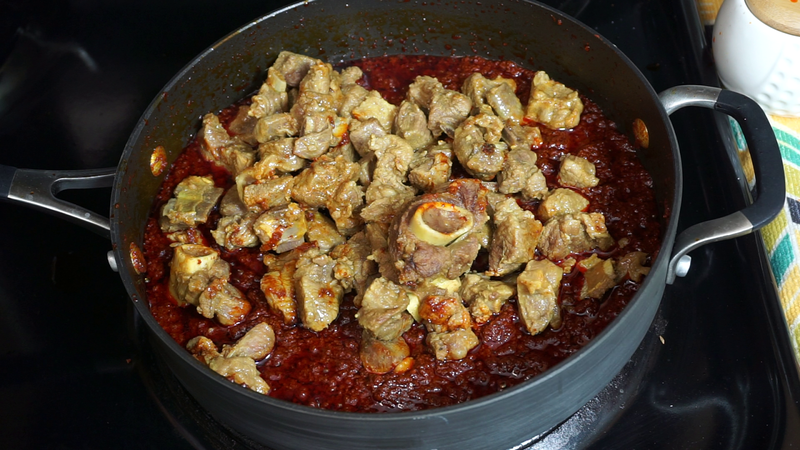 The mutton pieces are so deliciously and tender. I lov this recipe. I have made it thrice now and everyone who has eaten it loves it. The combination of ghee and masala is a welcome change from the usual onion based gravy.thank you! 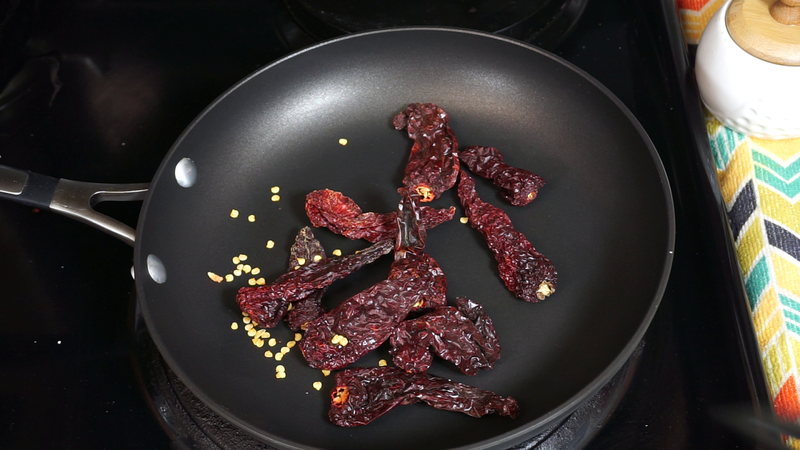 Hi..recipe is very delicious can I use less chillies for less spiceness... because it's difficult to to relate spiceness much...howmuch should I use for one kg..